Original remixes by: Kid Paul / Cosmic Baby / Ralf Hildenbeutel. Re-released and remixed in 1997-98 by: Three 'N One / Oliver Lieb (also credited as Ivan and L.S.G.) / Josh Abrahams / Solarstone / Universal State Of Mind / Nalin & Kane / Hybrid / Deepsky / Pure Nova & DJ Eyal Project. Re-released and remixed in 2002 by: Three 'N One / Marco V / John '00' Fleming / Michael Woods / Humate. Remixed in 2005 by: Kenny Hayes. Remixed in 2006 by: Raul Rincon / Whelan & Di Scala / Tall Paul / K-Klass / Soul Seekerz. Remixed in 2008 by: Dabruck & Klein / Dave Robertson / deadmau5 / Out Of Office (Michael Woods). Remixed in 2009 by: Hardino / Kenny Hayes. Remixed in 2011 by: Ricardo Villalobos / Roberto Rodriguez. Remixed in 2012 by: Jesper Sidelmann / Orbiter. I love this version for the Michael Woods and the Deadmau5 remixes, both really interesting contributions to a legacy track. 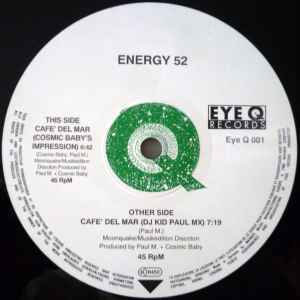 with the abundance of remixes of the classic track this one for some reason wasn't on that many as I know of shame as its the best even thought the "3 n one" brings back memories of my clubbing days....Porte De Bagnolet Mix is just a timeless slab of good old early trance! this release, in special the version Ralf is in my opinion the best one. I was 14 when I baught it - and now 38 and still this CD is my own and still I'm in love with my childhood music. Does this really need all these remixes and repressings?. Should have ended at the Three 'N One Remix in 97. Always thought remixes of classics stunk a bit of desperation. Just to stress I have no issues with the original version and 97 mixes, they took a great tune and remixed it into arguably the biggest trance tune of all time and at that point it could never get any better. Do something new. Remix any classic and it will probably sell well but its still all a bit naff imo. one thing i don't understand, why the low rating ? Correction to the two posters below: Port de Bagnolet is not the best version of Cafe del Mar. It's the ONLY version that really matters. The rest of the 135,467 versions are, in my opinion, bland cheese.